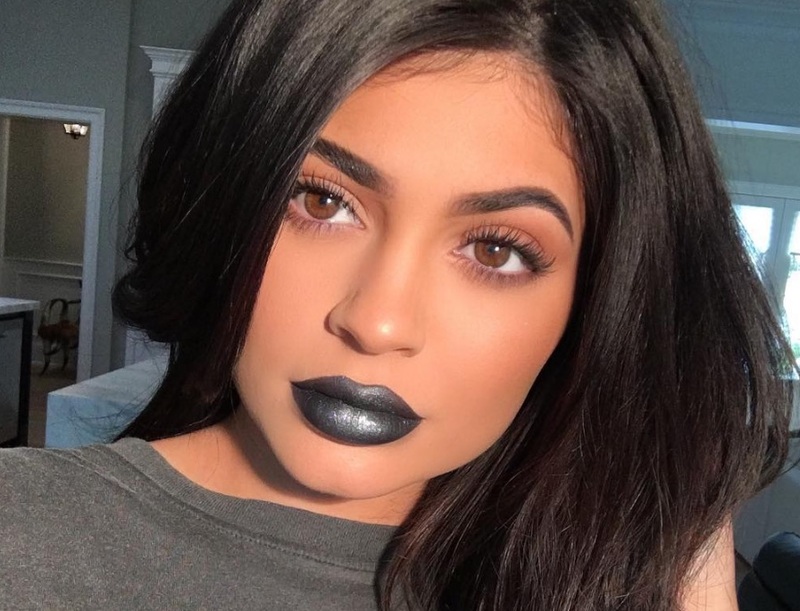 Kylie Jenner’s latest lip kit is something straight outta our gothic dreams. With a matte black (Dead of Knight) and a metallic black (KyMajesty), it gives us the inspiration to be a gorg vampire even in the dead of summer. Rumor has it the shades will be dropping today (!!!) at 4:30 EST, but if you just can’t wait until then to rock the look — or if you’re worried the new shades will sell out immediately again — one beauty vlogger has got the answer for you. Nikkie of NikkieTutorials posted an *amazing* tutorial to YouTube this week that gives us a great gift indeed: It gives us the reassurance that we can rock the KyMajesty look even if we can’t get our hands on the new shade today. Then, she covered her lips with glitter — specifically, Dose of Colors Eyedeal Duo in “Stellar” — and used MAC Cosmetics’ All Nighter Long-Lasting Makeup Setting Spray to keep it all in place. Now, all that’s missing are those gorgeous blue undertones, so Nikkie used MAC Cosmetics’ Reflects “Transparent Teal” Pigment — but only on the center of her lips, so it just added a hint of teal. Voila! Gorgeous lips in no time. . . before Kylie has released her newest shade. Check out the full tutorial below (because Nikkie will also show you how to get that incredible contouring, eye, and eyebrow look! ).